West Bromwich Albion head coach Tony Pulis is among the four nominees for February's Barclays Manager of the Month Award. He guided his Baggies side to two wins and a draw last month and is on the list with Manchester United's Jose Mourinho, Manchester City's Pep Guardiola and Chelsea's Antonio Conte, who is aiming for his fourth Barclays Manager of the Month Award of the season. 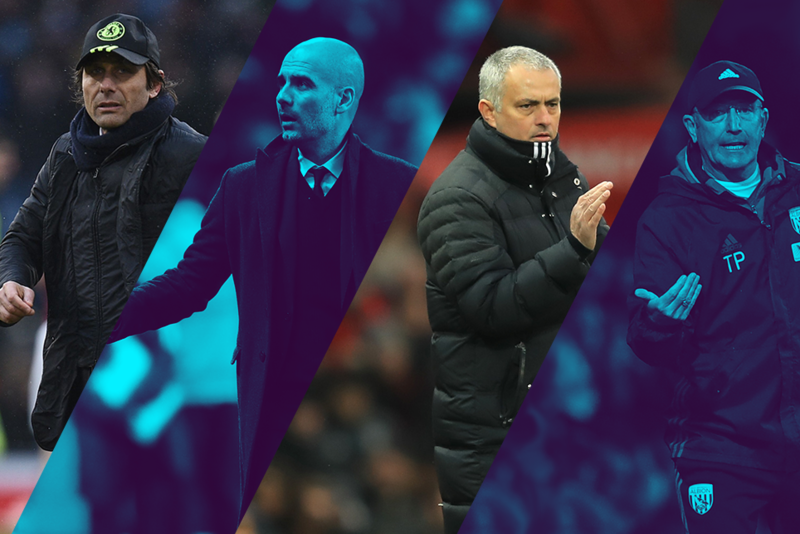 You can help choose who wins the Barclays Manager of the Month award through voting on premierleague.com. Decide who deserves the award by casting your vote above and it will be combined with those of a panel of football experts. You have until 23.59 GMT on Monday, 6 March and the winner will be revealed on Friday, 10 March.